FAM says time is ripe for the Flames to start producing good results after undergoing a two-year rebuilding process starting with the 2020 Confederation of African (CAF) Total Championship of African Nations (Chan) qualifiers. Football Association of Malawi (FAM) president Walter Nyamilandu said this yesterday after the national football team was drawn against e-Swatini (formerly Swaziland ) in the first qualifier for the continental championship, whose finals will be hosted by Ethiopia. The Flames are tasked to make an improvement from their last participation in 2017 when they were booted out in the first round following two 0-1 losses to Madagascar in two-legged qualifiers and they are expected to get rid of their winless run in their last 13 matches. “The rebuilding exercise we embarked in the last two years should now put us in good stead for future competitions. Time is now right for the new crop of players, that have been fused into the team, to turn up and produce the goods,” Nyamilandu said. Flames assistant coach Peter Mponda described their pairing with e-Swatini as a fair draw and concurred with Nyamilandu that now is the time for Malawians to start harvesting the fruits of the rebuilding process. “The team can continue improving if they play against the best teams. However, we have been singing the team rebuilding song for a long time. Malawians are now tired of the song and it is time they get the results,” he said. Although statistics favour the Flames against e-Swatini, having won 11 games (including a 1-0 triumph in African Cup of Nations qualifier in 2016), drawn six times and three losses, Mponda believes it is also good preparations that will help the team progress to the next stage, where they would meet Angola. Nevertheless, history shows that since the inaugural Chan in 2009, it is only the countries with the best leagues on the continent that win the competition, fot locally-based players. Two-time champions Democratic Republic of Congo, who won the inaugural edition and the 2016 crown, has a league which is ranked fourth in Africa. Tunisia (2011), Libya (2014) and Morroco (2018), are first, 10th and seventh on the continent, respectively. When asked if the Flames are now mature enough to compete for the Chan title against such teams, FAM boss said: “It all boils down to ensuring that our preparations are thorough and that the team should embrace sound tactical discipline”. 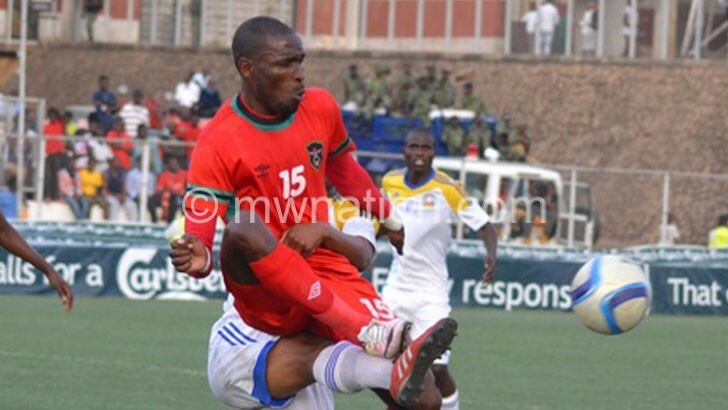 Football analyst George Kaudza Masina said although the Malawi’s top-flight league might not be the best in Africa, the country has talented players that can make it at a bigger stage such as Chan.